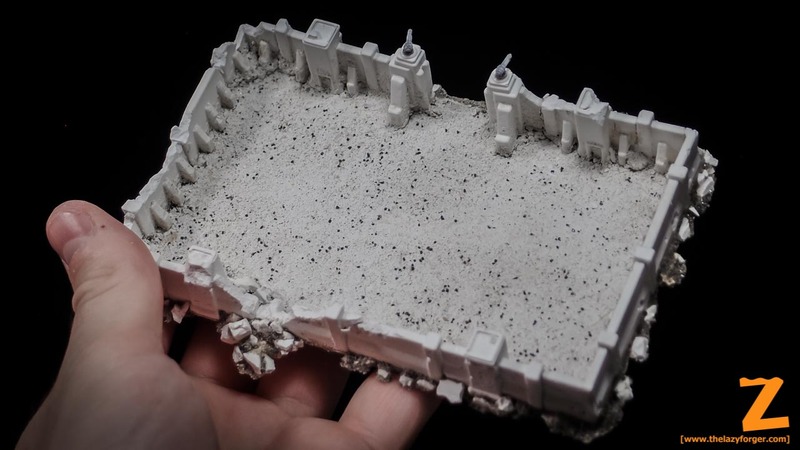 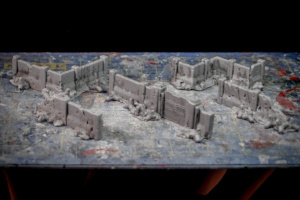 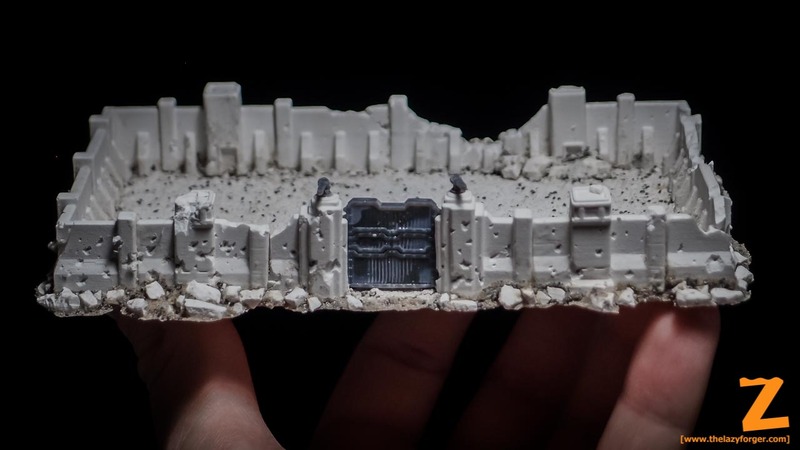 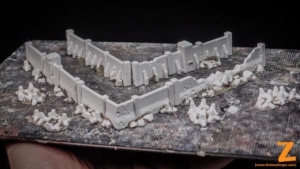 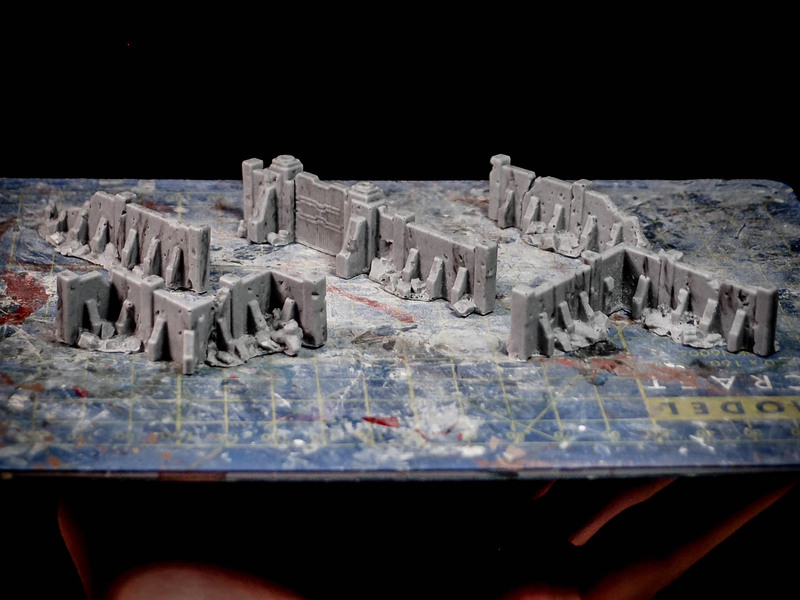 The set below (now sold by Game Craft Miniatures) is a simple yet modular set of blast walls i designed for my Epic project. 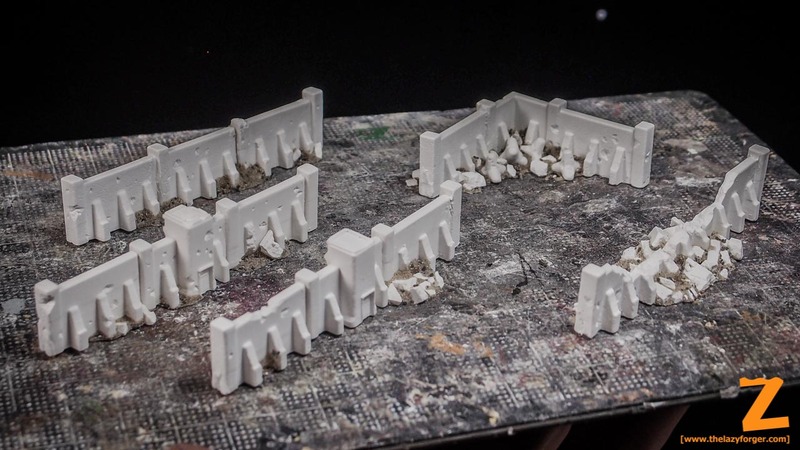 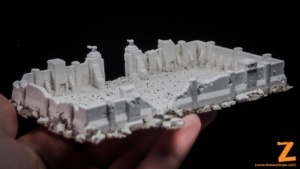 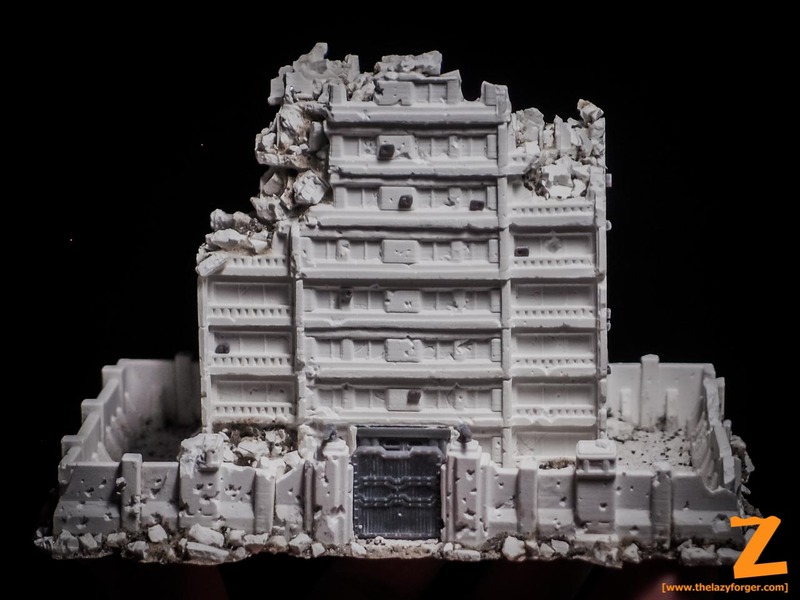 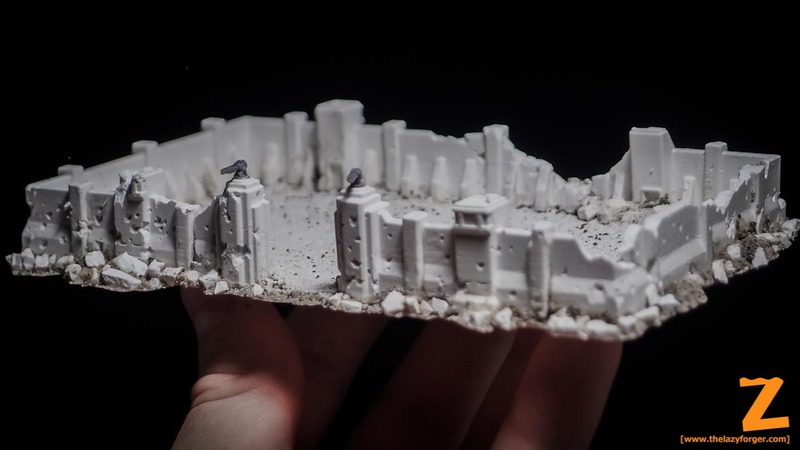 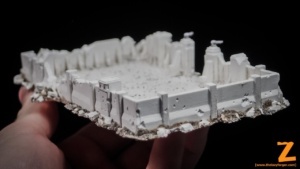 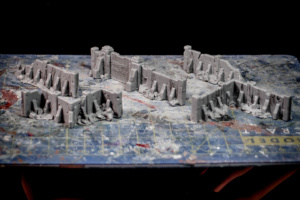 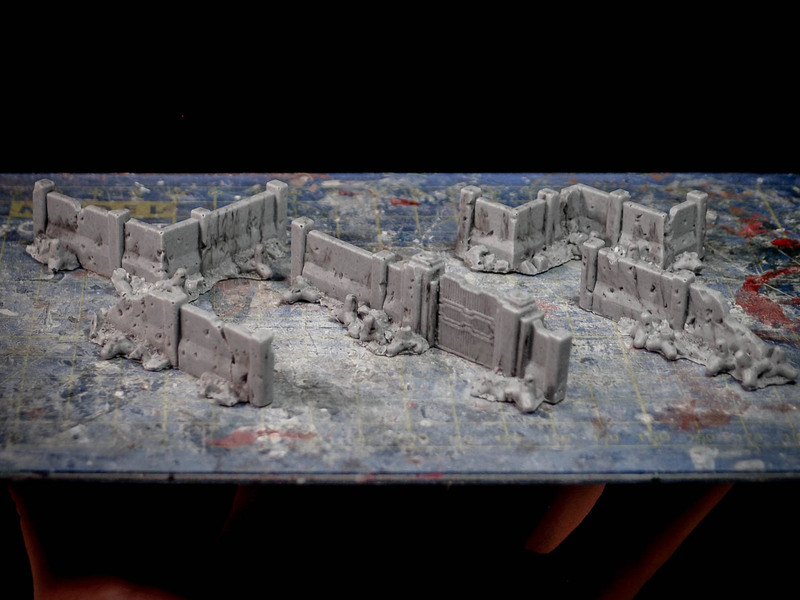 The parts allow to build contained areas or just useful separators and have been built from a 3D print, then weathered and detailed to add character and variety. The resulting pieces for a fairly versatile set, that will be hopefully fielded on many Epic and scifi tables. 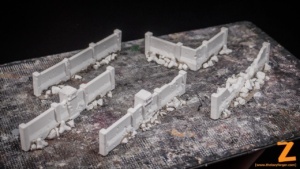 With the components used for the set, i fiddeld building my own pen. It is large enough to contain one of the Commieblocks I’m building.